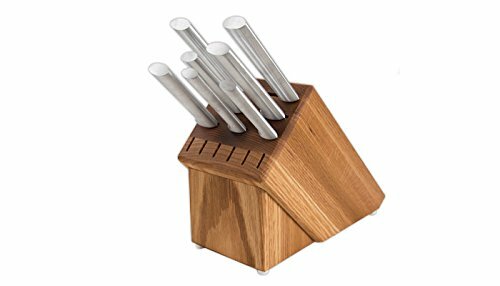 This nice Rada Oak Block set includes the block, super parer, Cooks Knife, 6" Bread Knife, Cooks Utility Knife, Tomato Slicer, super Parer & Regular Paring. Also it include 6 empty slots for knives you already have or add a 6 piece steak knife set. If you have any questions about this product by Rada Cutlery, contact us by completing and submitting the form below. If you are looking for a specif part number, please include it with your message.